The cheery yellow flowers are actually quite pretty, but buttercup has an insidious nature and will insert itself craftily into your landscape. 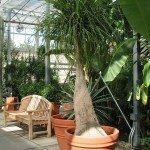 The plant can be very difficult to control due to its habit of rooting at internodes and the long spidery roots that can re-sprout a new plant if left in the ground. Controlling buttercup weeds is important in livestock areas, where the plant is toxic, but also in the home garden unless you like a tumble of interlocked foliage covering up your chosen specimens. Creeping buttercup is in the Ranunculus family and known for its lovely flowers. However, buttercup is considered by many to be a weed due to its invasive and prolific nature. Buttercup control is particularly difficult in large scale infestations unless you wish to resort to an herbicide. Chemical control is one option, but there may be better ways to minimize the plant’s impact on your landscape. The saying, “beauty is in the eye of the beholder” may have the sting of truth in regards to buttercup. The plant would make a pretty picture gamboling over the landscape with its bright sunny yellow flowers and attractive lobed foliage, but grower be aware. 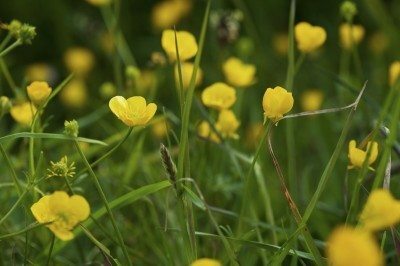 One of the most important tidbits of buttercup weed information regards its rampant growth habit. 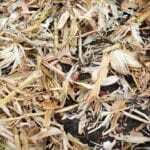 Not only do the plants seed like rabbits breed, but the creeping stems root and take hold as the plant scrabbles over soil. Each newly rooted spot is a new plant. Add to that that, the plant can reestablish itself with just a root or stem fragment and you probably get the picture that removal of the weed is going to be a challenge. Minimizing the use of herbicides in the landscape is environmentally responsible and healthier for us and our planet. A plant like buttercup grows low to the ground so common measures, such as mowing, will not touch the weed. In addition, hoeing or rototilling is not effective, as it leaves behind small bits of plant matter that can grow anew. Hand pulling is possible in small infestations, but you must use a tool designed to remove deep roots and get every bit of the weed. Wear protective clothing when handling the plants too, as the sap is dermatologically toxic. There are no known biological controls at this time to kill buttercup weeds. Changing the growing conditions in an area is one way to minimize the growth of the plant. Buttercup likes nutrient poor, compact soil with a low pH. Lower the acidity of soil, increase percolation and fertilize for cultural buttercup control. 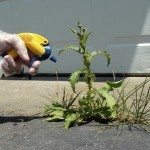 Once you have tried all the steps above to kill buttercup weeds, and only if they are still persistent, it is time to consider chemical warfare. Broadleaf formulas have some effectiveness against the pests. Glyphosate works well for spot control, but because it can kill any vegetation that comes in contact with the formula, it must be used carefully. Selective control formulas target specific plant pests. An herbicide with aminopyralid is safe to use around grass and livestock. It has a low hazard rating for mobility and persistence in soil. To treat 1,000 square feet, mix 1 teaspoon with 2 gallons of water and spray onto the affected area. Use protective clothing and follow the application directions for any herbicide. Once you get a handle on the weed, be vigilant and attack the problem at the first signs of recurrence.